When I got home from work one day I found a mail slip telling me I had a package waiting at the post office. I wasn’t expecting anything and for a moment I thought Jason had surprised me with something fun but he looked just as nonplussed as I did. First thing the next day I went to solve the case of the mysterious package. It better not be some government document or something equally boring, I thought. I handed the mail slip to the man behind the counter and when he returned with my package he said, with a raised eyebrow, “Oh, from London, England.” Oh? 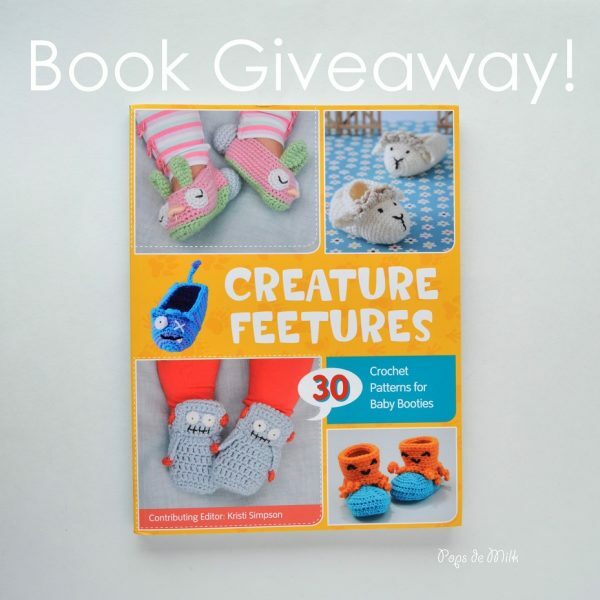 And then it hit me – the baby booties book!!! I smiled, grabbed the package and practically skipped home. I have been waiting for this moment and I cannot express how happy I feel. 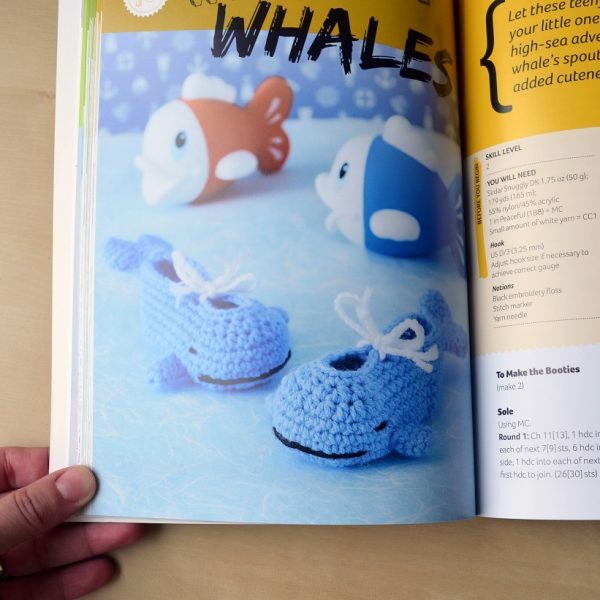 I put a lot of effort into the design of the baby booties and I know the other contributors did as well. 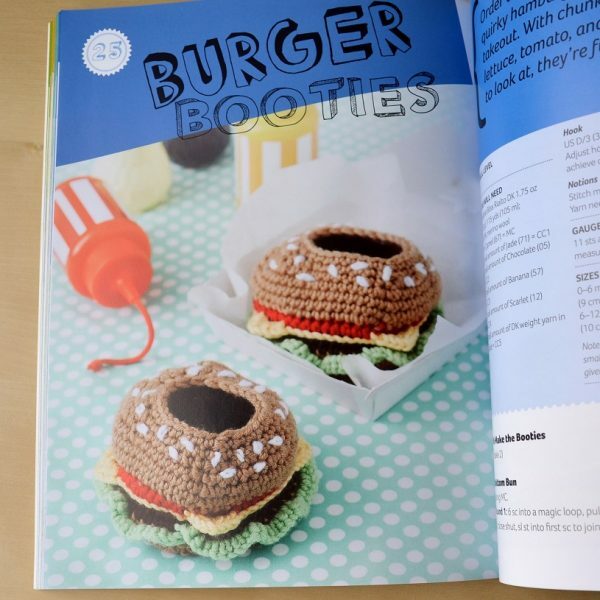 This book has so many creative patterns made by very talented crocheters from around the world. It’s broken up into sections: Out of this world, Wild animals, Cute creatures, and Good enough to eat. 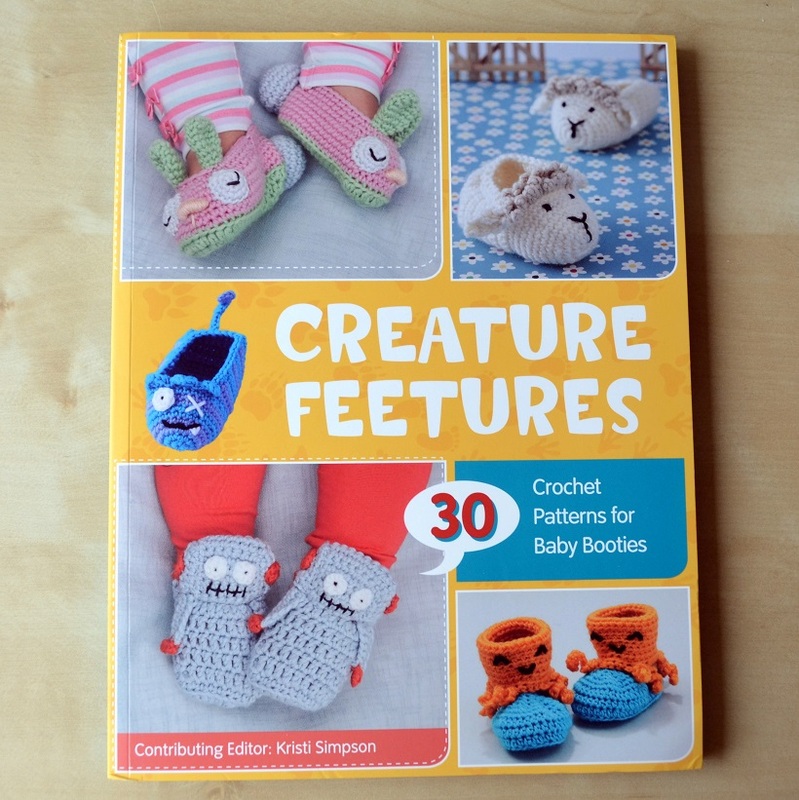 The Creature Feetures crochet pattern book is available now on Amazon and Barnes & Noble and….there is also a GIVEAWAY! The amazing publishing team sent an extra copy of Creature Feetures for me to gift. Contest is open worldwide and will run for the month of March, ending at 11:59pmEST on March 31. I love strawberries baby booties, and all that look like fairy or elf/gnome baby booties!! I think your Beetlejuice sandworm slippers are the most unique ones I’ve ever seen! I do love little baby booties that look like monster feet as well. What super cute and creative booties! I once made a pair of booties that looked like sharks were eating the baby’s legs. They took forever and by the time I finished, I think the baby was too big to wear them! those burger slippers are pretty darn unique!!! I haven’t seen very many in person, but online I think the sharks/dragons appearing to eat the kid’s legs are pretty cool. I saw some squid booties that I fell in love with! Such a sweet book! Perfect for making gifts for a baby shower.